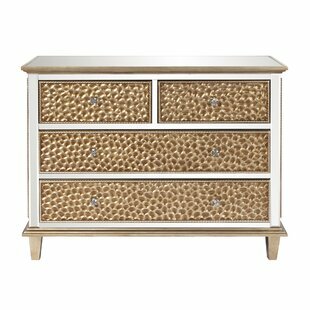 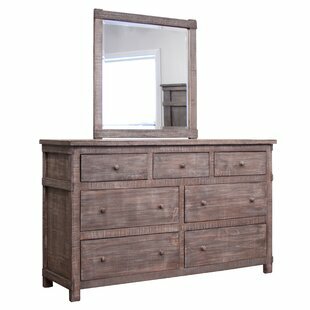 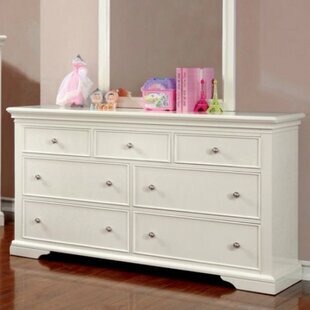 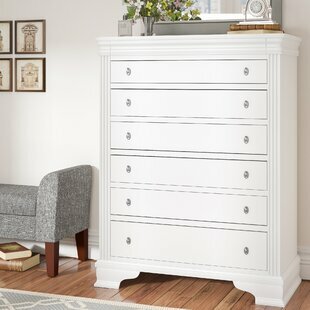 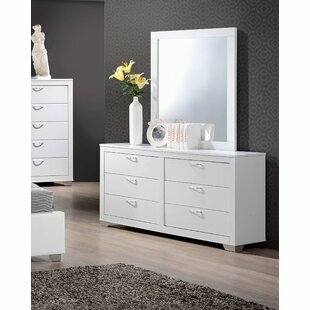 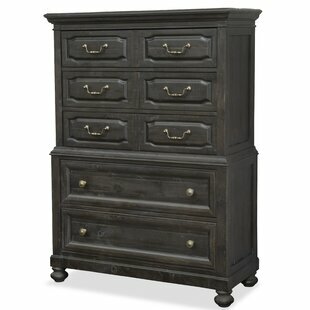 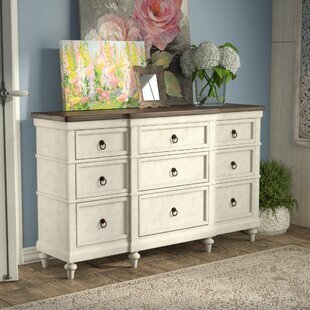 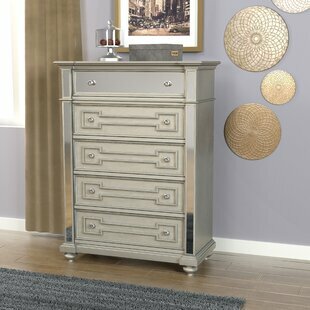 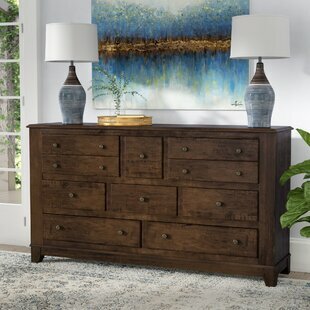 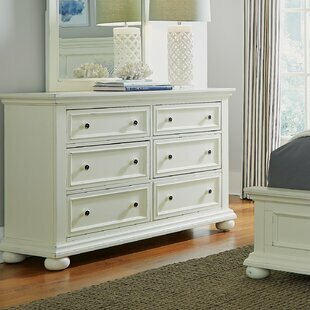 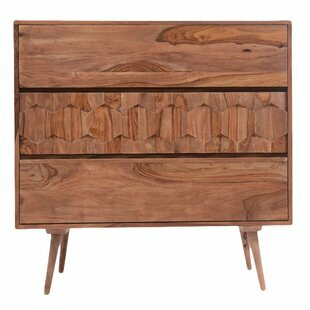 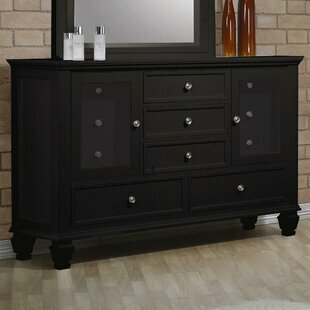 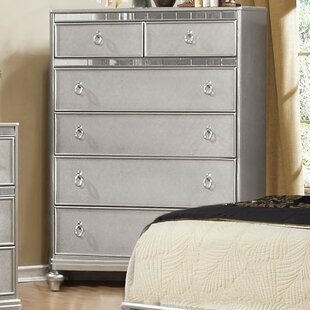 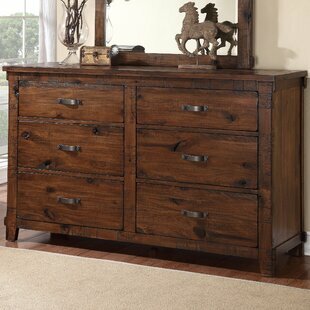 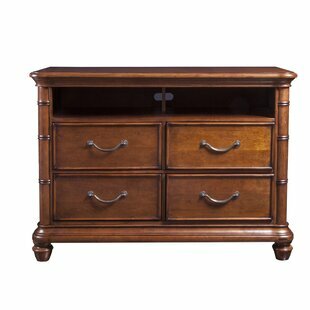 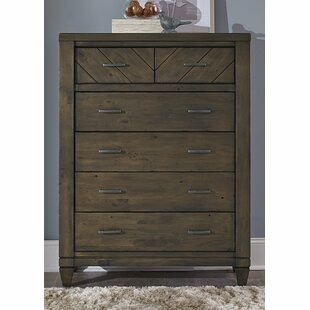 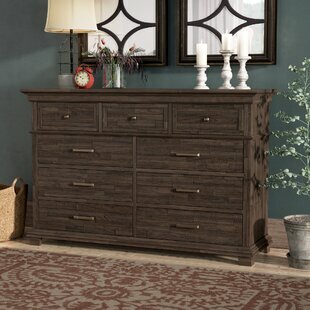 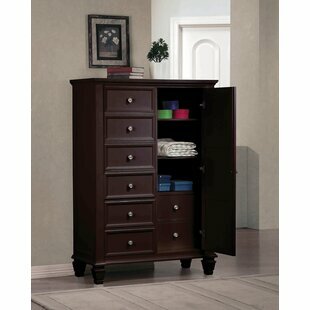 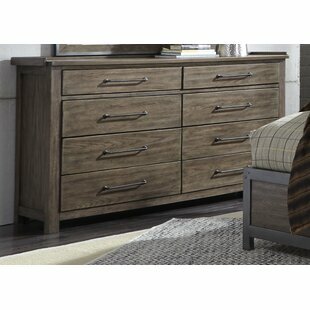 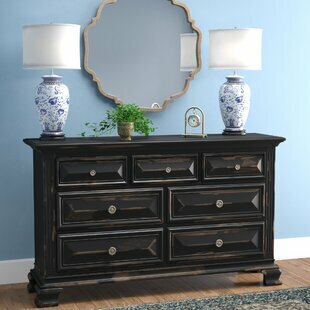 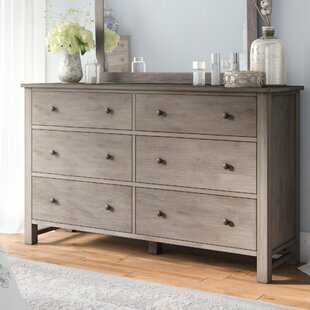 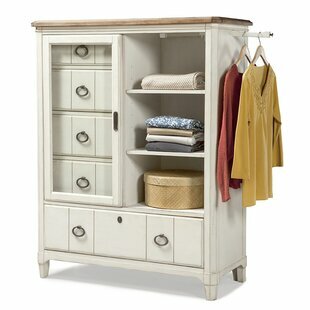 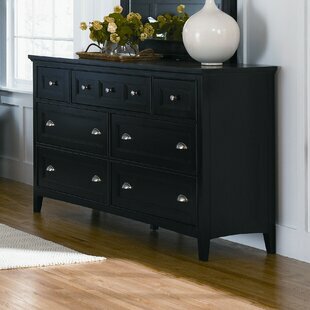 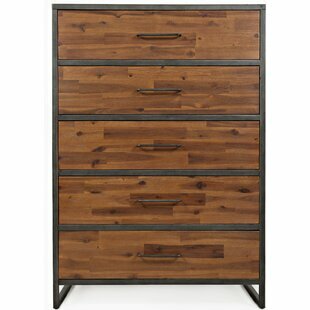 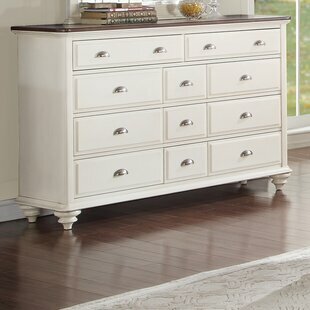 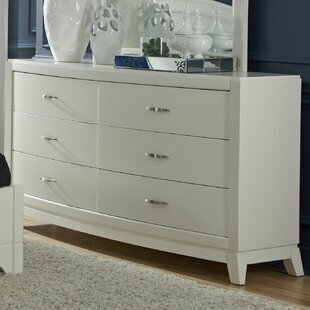 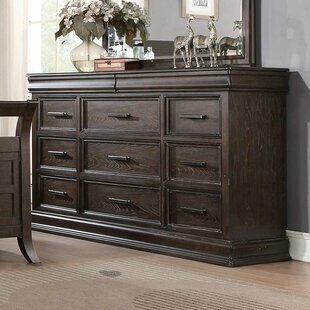 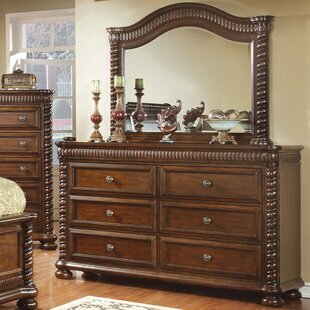 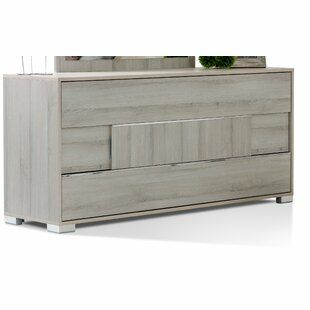 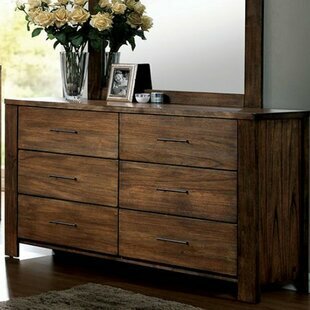 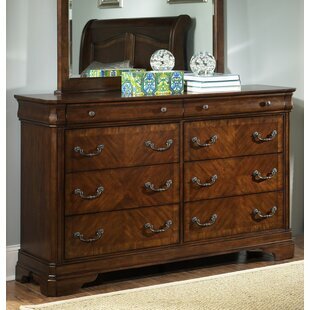 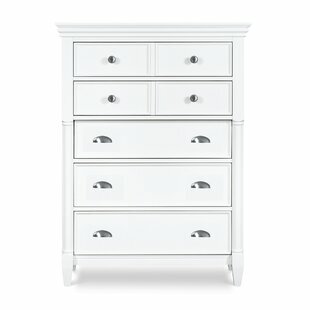 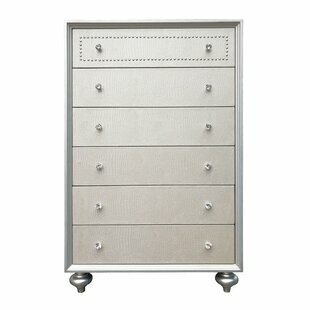 The Little Neck Dresser, shown above, comes with six large drawers on metal tracks. 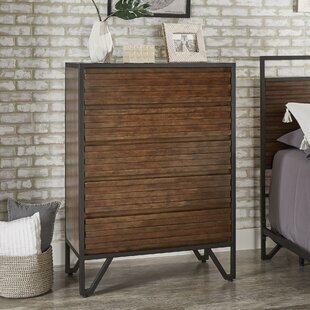 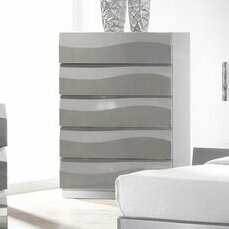 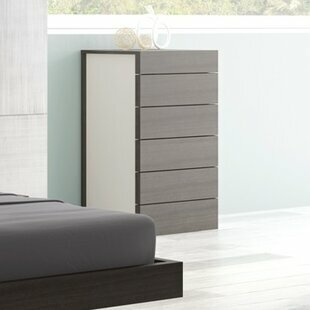 It gives you the ability to store more while not compromising space in your bedroom. 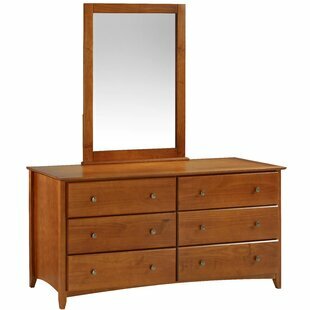 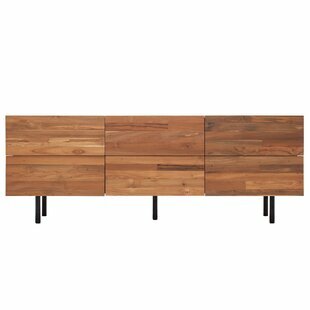 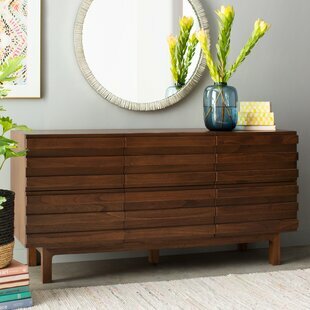 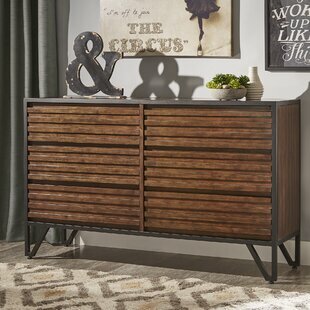 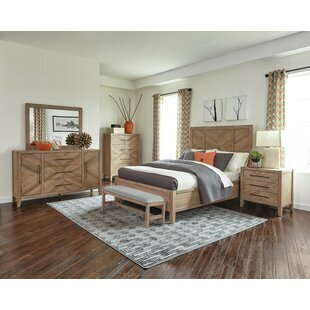 Material: Manufactured Wood + Solid Wood Mirror Included: No Number of Drawers: 6 Assembly Required: No Overall Product Weight: 86lb.